Perth: Australia 277/6 at stumps on the opening day of the second Test of the four-match series here at Perth Stadium on Friday. Marcus Harris (70) and Travis Head (58) notched up brilliant half-centuries as Australia posted 277 for six at stumps. Earlier in the morning, opting to bat, Harris and Aaron Finch (50) forged a century stand to get the visitors off to a dominating start. Later, Shaun Marsh (45) and Head played important knocks. Skipper Tim Paine (16) and Pat Cummins (11) were at crease when umpires called it a day. Finch, was the first wicket to fall in the second session soon after he scores his second Test 50 and the first at home. Later Usman Khawaja (5) and Harris fell in quick succession as the Indian bowlers bounced back with three wickets in the second session. India has made two changes in this test match. 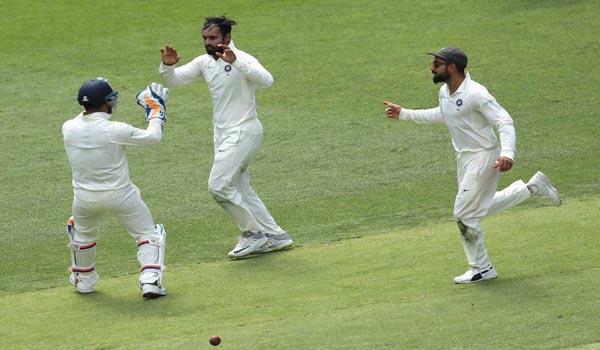 The visitors brought in Hanuman Vihari and Umesh Yadav in place of Rohit Sharma and Ravichandran Ashwin.Earlier, in the match, Australia started resumed their inning after lunch without losing any wicket for 66 runs. Later at tea, Indian bowlers took three wickets on a score of 145 runs and tried to put pressure on them.